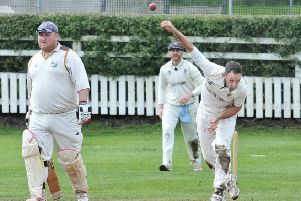 Ian Simpson believes Longridge CC’s points total in this season’s Moore and Smalley Palace Shield could never be beaten. This year’s champions ended their season with a six-wicket victory against South Shore at Newsham on Saturday. That gave them 19 wins from their 22 matches and a total of 230 points, surpassing the 224 recorded by Vernon Carus (2013) and Fulwood and Broughton (2016) in recent years. “It’s been one of those freak years where we haven’t had any games rained off,” Simpson said. The title comes in Nick Wilkinson’s inaugural season as skipper. Having replaced Kyle Helm at the end of the 2017 campaign, Wilkinson led them to top spot with a comfortable margin of victory over second-placed Kendal. “Credit goes to Nick because he’s held us together, kept us going and kept us focused,” Simpson said. “I think the critical one for us was the game against Thornton Cleveleys when we were chasing 200-plus. Victory means Longridge are set to follow Garstang’s lead and take their place in the Northern League for the 2019 season. 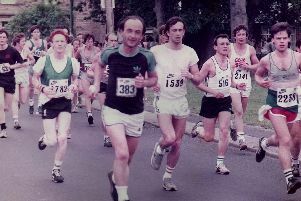 Garstang’s first year at that level saw them finish in sixth place. Fulwood and Broughton, who also made the move, stayed up with victory on the final day of the season. “We’re over the moon that Fulwood and Broughton have stayed up,” Simpson said.